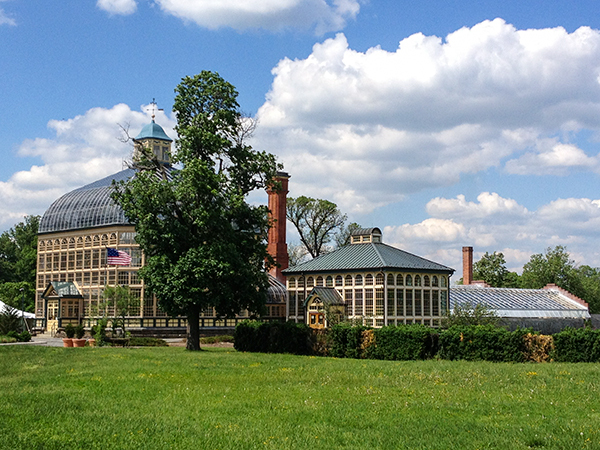 In 1860 the City of Baltimore purchased the estate of Lloyd Nicholas Rogers and surrounding land to create an expansive country park, tasking landscape architect Howard Daniels to design it. Daniels called for a winding network of bridle trails, footpaths, and graveled carriage roads that linked a series of hilltop picnic groves, affording a variety of experiences and scenic views across the 745-acre site’s rolling terrain. 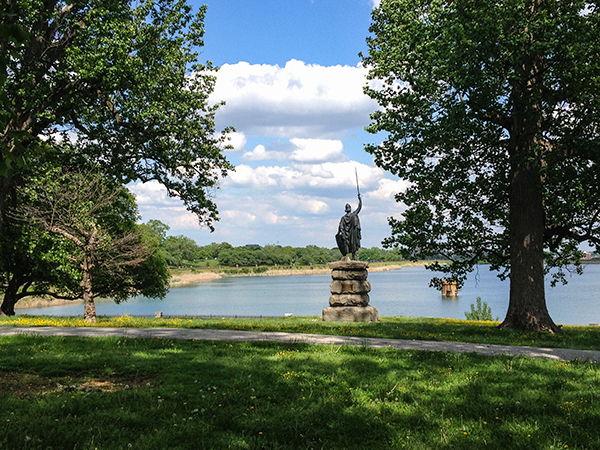 The third-oldest large municipal park in the United States, Druid Hill Park’s design is heavily influenced by the English landscape tradition. The center of the site is laid out with large clearings and expanses of lawn broken up by groves of trees and dotted with pavilions; by contrast, the woodland fringes of the landscape were kept densely planted and typify the Picturesque style. The Rogers mansion, which sits on a hilltop near the center of the park, was converted with the help of architect George Frederick into an Italianate pavilion, its porches and belvedere looking out over the sweeping lawn to the south. 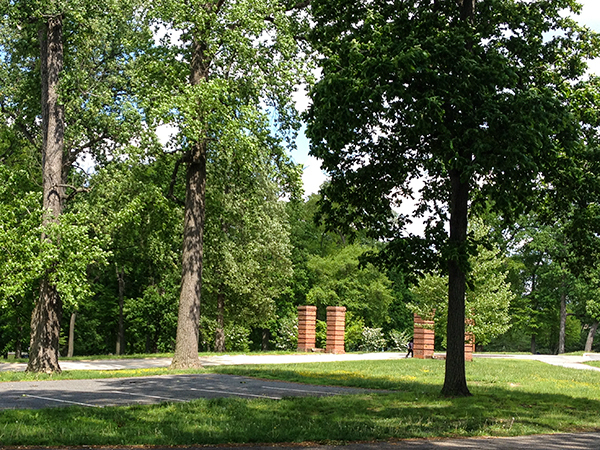 Another focal point within the park was the promenade, an axial walk paved with brick in a basket-weave pattern and lined with flowers, benches, and linden trees. Druid Lake, a grand reservoir spanning 55 acres, was created in 1863 with the building of a large earthen dam. 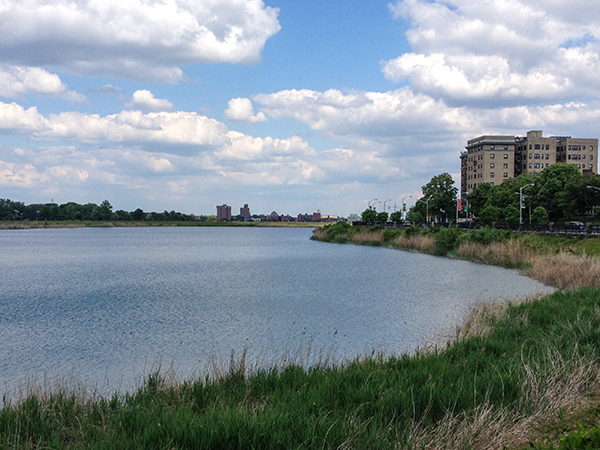 Ringed by a 1.5-mile-long path that provides views over its smooth surface, the lake is the defining feature of the park’s southern end and still provides much of the city’s drinking water. 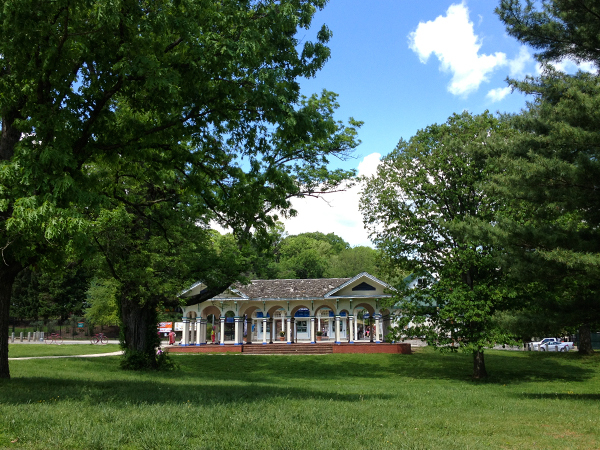 The Maryland Zoo was established within the park in 1876 and over time expanded to 185 acres of the park’s core. 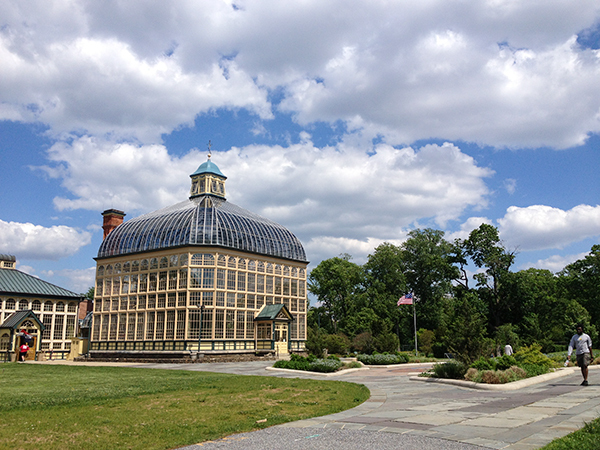 The Druid Hill Conservatory (now the Howard P. Rawlings Conservatory and Botanic Garden), designed by George Frederick, was added in 1888. 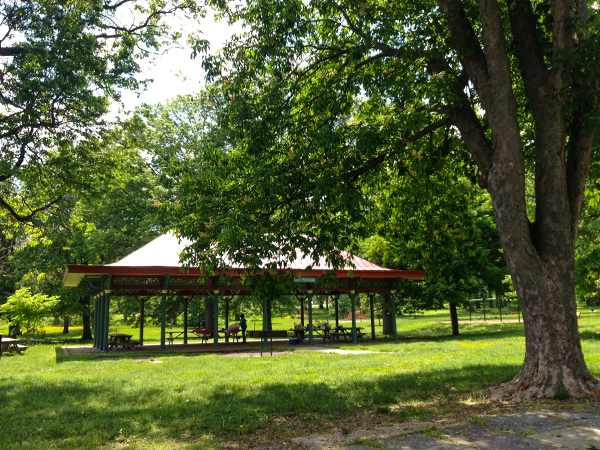 The 1904 citywide report by Olmsted Brothers called for parkways and boulevards that would link Druid Hill Park to newer parks in the city, including Wyman Park and Clifton Park. 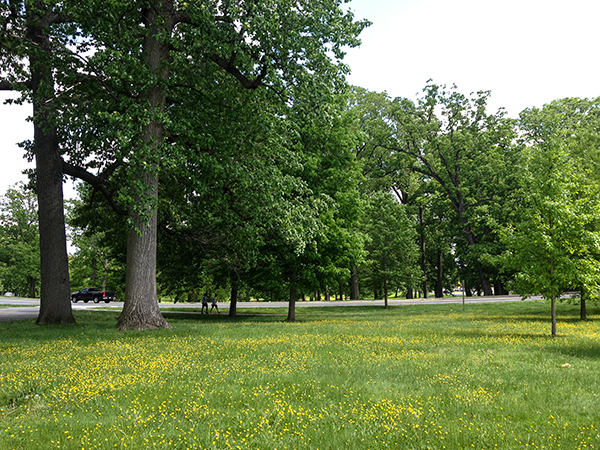 Other improvements within the park carried out by Olmsted Brothers include the numerous athletic facilities north of the lake. 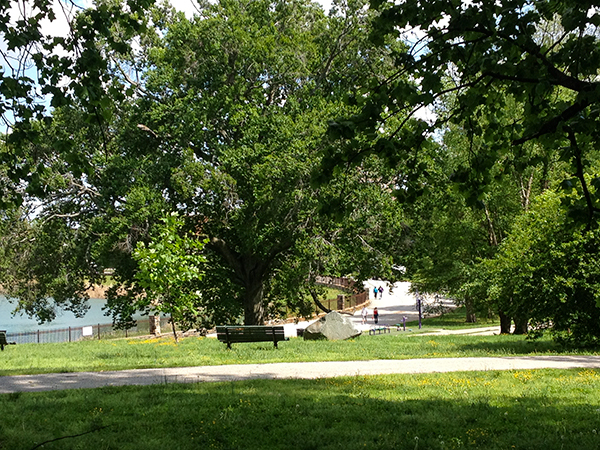 Druid Hill Park was listed in the National Register of Historic Places in 1973.